This well maintained move-in ready home sits on 57 scenic acres. The property includes a concrete circle driveway, recreational land, wooded acreage with mature hardwoods, river frontage at the far east side of the property, some tillable and or pasture land. 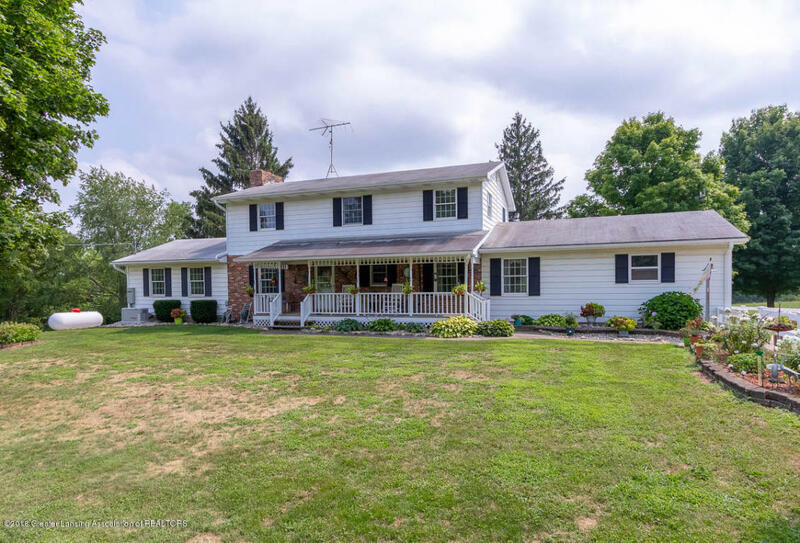 The home features 4 bedrooms, 2.5 baths, 2 living rooms (one includes an amazing stone fireplace), formal dining, country style kitchen with upgraded granite countertops, attached eating area with hardwood floors and a walk out basement. Included on the property is a 29x64 pole barn with workshop. Newer furnace and whole house standby generator are also a plus. Picture yourself sitting on the covered front porch or large back deck enjoying the quiet countryside. Directions: From Charlotte, west to Chester Rd., north to Lamie, east to home.